I have an external 2 TB Harddisk that had a 1.5 TB exFAT Partition and a 500GB HFS+ encrypted Partition. I wanted to shrink the 1.5 TB to 1 TB. I used https://www.diskgenius.com/ to shrink the exFAT Partition which worked, I ended up with a 1 TB Partition visible in Windows. But after attaching the external harddisk to Mac now the 500 GB encrypted Partition is not recognized anymore. 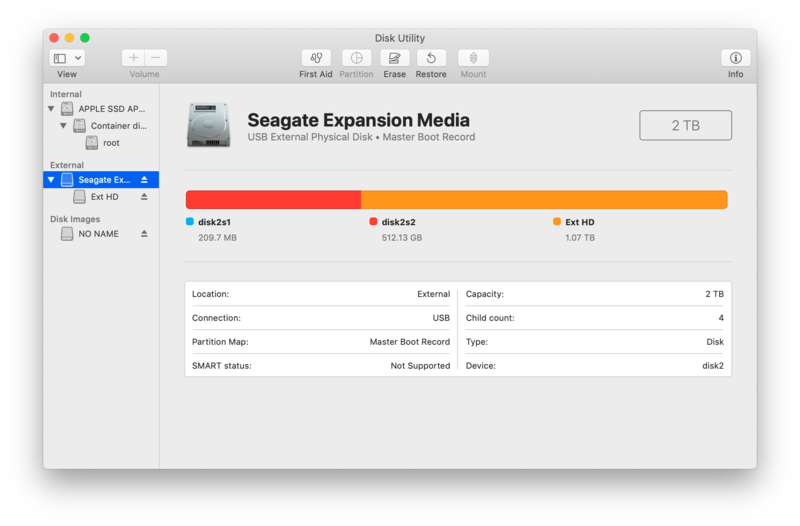 Mac's disk utility still shows disk2s2 with 512 GB but is not able to mount it. My guess is that this disk was GPT before but got overwritten with a MBR by disk genius and that there is now data missing for MacOS to recognize the disk. Is that possible? Is there any hope of recovering my data? Does HFS store some information needed for encryption in the GPT that might have been overwritten now? Can I somehow force MacOS to mount disk2s2 as an encrypted HFS+ volume? Does the GPT automatically get overwritten by MBR or is it possible that the MBR somehow just takes priority over the GPT and if the MBR gets deleted the GPT takes over again? Sorry if this is a dumb idea, I don't know much how these partitioning tables are stored on disk. I managed to get my data back. It took a lot longer because I expected that disk2s2 was a HFS+ encrypted volume but viewing it in a hex editor I didn't find the markers for that, so I thought my data somehow has been overwritten or that the partitions were not aligned properly anymore. Only after recreating my previous setup I found out that there was a CoreStorage layer in between and then it was an easy fix. Still not entirely sure what went wrong in the first place, because I tried to recreate my scenario on another harddisk and it worked there. 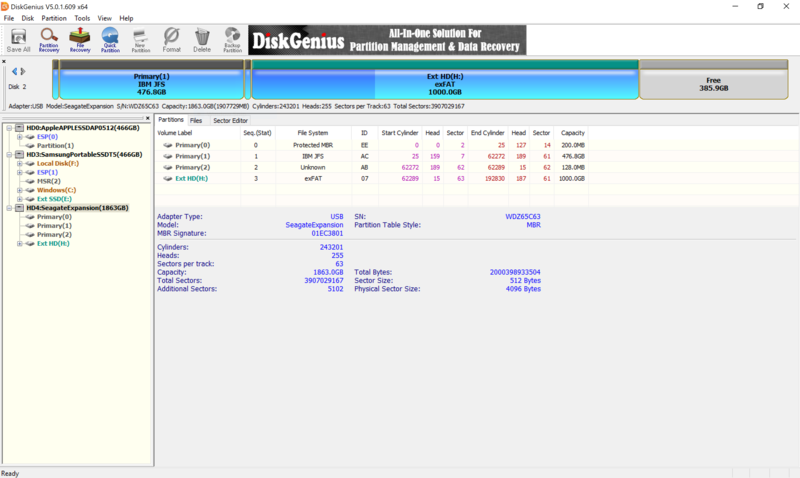 My guess is my old harddisk had an mbr and gpt (hybrid) and thats what confused disk genius, but I don't know for sure. Not the answer you're looking for? Browse other questions tagged partition encryption hfs . How to recover trashed GUID partition table? How to restore a deleted HFS+ partition table? How can I fix my partition table?